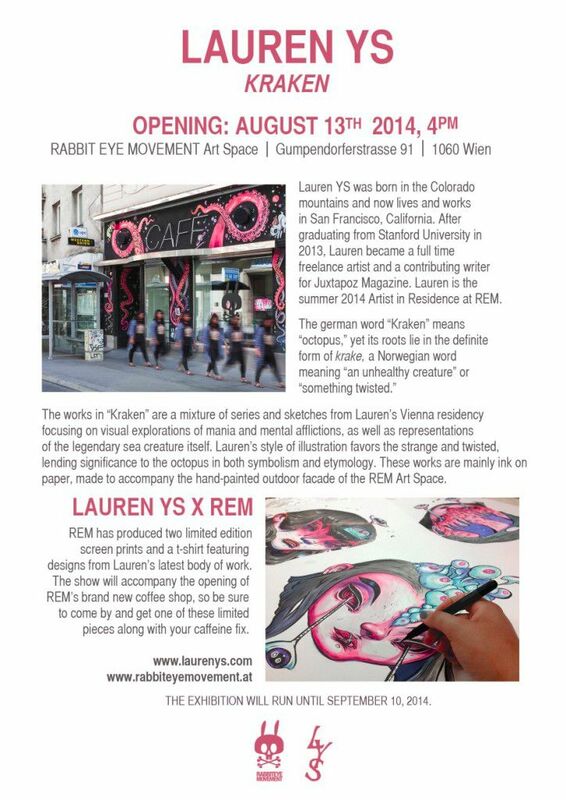 Our summer 2014 artist in residence Lauren YS is finishing her stay with a soloshow at our Art Space. It was a pleasure having her in Vienna, and we are thankful for her awesome work during summer, like painting our facade. In addition, we are celebrating the opening of our brand new café on the same day. 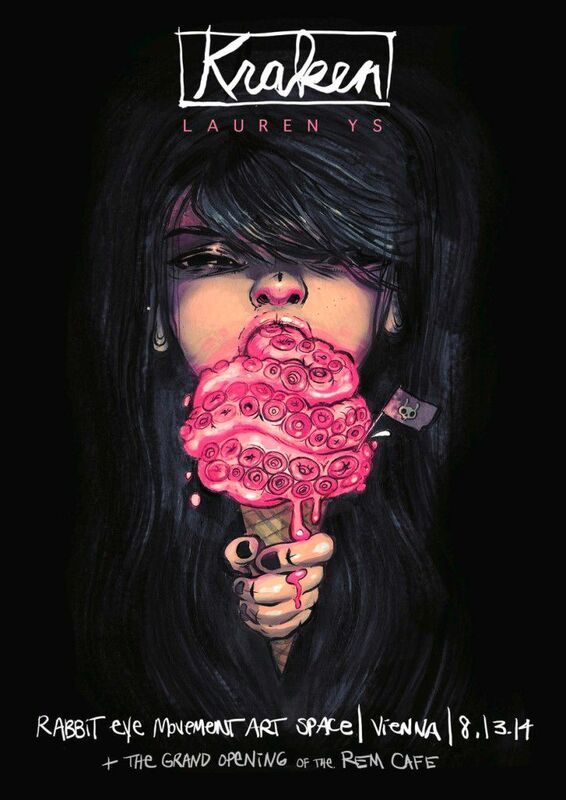 Make sure to stop by, have a coffee with us and check out the great art work of Lauren YS.